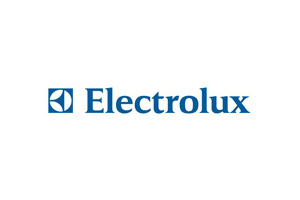 Eckoh's service enables Electrolux, the world's leading international appliance company, to route customers quickly and efficiently to their local service centre, without the need to transfer to a live call centre agent. The service is available 24/7 and offers on the move access to customers with a no wait, no queue basis. Each year, some 55 million consumers in more than 150 countries choose Electrolux products, such as cookers and cooktops, ovens, fridges and freezers, dishwashers, washing machines, tumble dryers, room air conditioners and vacuum cleaners. Customers calling Electrolux to locate their local service centre from a non-geographic number (e.g. mobile phone), were transferred to a contact centre agent. Electrolux wanted to make this process more efficient. In association with BT, Eckoh provided an automated solution (EckohLOCATE) which uses interactive voice response technology to capture the customer's home phone number and then carries out an instant match with the database of Electrolux outlets to provide details of their nearest service centre outlet. This enables Electrolux to route customers calling from non-geographic numbers quickly and efficiently to their local service centre, without the need to transfer to a live call centre agent. Customers have also seen the benefits of 'on the move access to service outlet information and a no wait, no queue 24/7 basis.